Max order quantity of 6. Sebastopol geese have a very unique appearance. They have been around for hundreds of years, and are thought to have originated from the countries surrounding the Black Sea, Hungary and the Balkans. 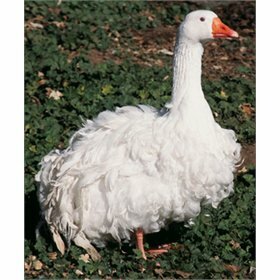 They were known early on in England as Danubian geese and the Spanish and Italians once referred to the breed as Danubio due to importations from the lower Danube river area. So they probably got their current name from their most recent site of importation at Sebastopol. Sebastopol geese will weigh 11-13.5 lbs and the females will lay 13-18 white eggs per year. 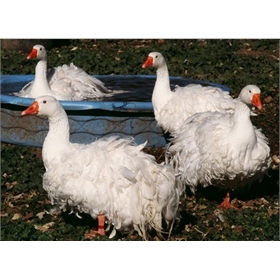 Our geese will fully integrate with all the other breeds that we offer. 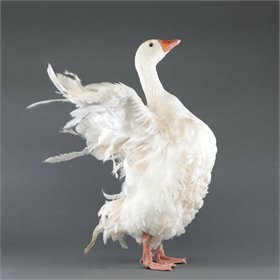 If you want purebred geese, make sure you separate your geese by breed during the mating season. 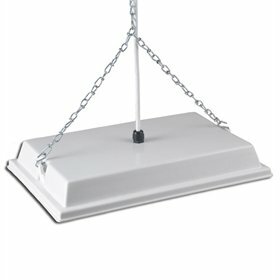 Or you can let your geese cross and see what different shapes and colors you will get with their goslings. 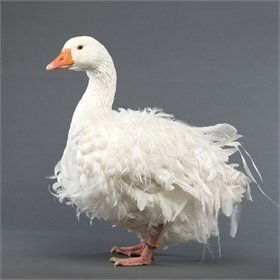 *You may order a maximum of 6 Sebastopol goslings. 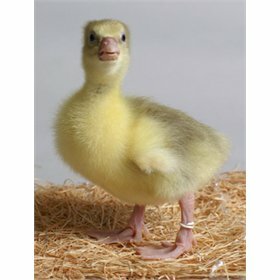 * We can ship as few as two baby ducklings or goslings! * All orders ship via USPS Priority Mail service. * You'll get the best shipping price if you order more than 15 waterfowl babies, due to the special care with which small orders must be packaged. The smallest orders of 2-9 ducklings will double or even triple your shipping rate, whereas small orders of 10-15 will add in the neighborhood of 50% more to your price (depending on your distance from our hatchery). * Breed photos may not be representative of the parent breeding stock. In some cases our photos are of winning exhibition lines of poultry. Unless noted otherwise, we do not source from exhibition lines.